Democratic voters in Delaware on Thursday resoundingly rejected the progressive wave that has been gaining footholds elsewhere in the country – at least in statewide races. Centrist incumbent U.S. Sen. Tom Carper trounced his progressive opponent Kerri Evelyn Harris by winning 65 percent of the vote. Establishment favorite Kathy Jennings earned more votes than her three challengers combined, leaving Chris Johnson – arguably the most progressive voice in the four-way race – with less than 15 percent of the vote. Yet party insiders say the outcome of Thursday’s Democratic primary should not be interpreted as the end to the insurgent left brand of politics championed nationally by former presidential candidate Bernie Sanders. “The progressive wing of the party is here to stay,” said Jesse Chadderdon, executive director of the Delaware Democratic Party. So why were those candidates so easily defeated in Delaware when the progressive message recently has secured victories for Congressional and gubernatorial candidates in Massachusetts, Florida, Maryland, Georgia and New York? The answer, political watchers say, is partly based the Delaware Democratic Party’s traditional power structure, partly rooted in demographics and partly due to a miscalculation on where local progressives should focus their energy. Carper, who began his political winning streak here in 1976, has long been the local standard-bearer of that approach, which has helped him to win 12 consecutive general elections. As a result, dissatisfaction with entrenched Democrats that helped progressives such as Alexandria Ocasio-Cortez and Ayanna Pressley win nominations New York City’s and Boston’s urban Congressional districts proved to be less of a factor among statewide races in Delaware. Here, voters are far more likely to have had some personal interaction with their elected officials. Carper, for instance, spent the day after the primary greeting veterans at a job fair in Middletown – the kind of street-level retail politics that has given him tremendous name recognition and a direct, personal connection to thousands of voters over the years. Harris was a virtual unknown even among progressive Democratic circles until earlier this year. That might have been the biggest hurdle faced by the Dover community activist who was serving fried chicken at Royal Farms in 2014. Turnout in Delaware’s Democratic primary swelled beyond all expectations to reach 25 percent – the highest for a mid-term election in a generation – thanks to efforts by her campaign and the state party to make voters aware of the unusual vote on a Thursday. The social and environmental mantra of Harris and attorney general candidate Chris Johnson also might have scared off groups that historically have been some of the Delaware Democratic Party’s most influential backers: law enforcement, unions and corporate interests. Harris campaigned on promises of a $15-an-hour federal minimum wage, Medicare for all, eliminating all student loan debt and abolishing the federal Immigration and Customs Enforcement agency. Johnson called for tougher regulations and sanctions on polluters, an end to mass incarceration and a refusal to cooperate with federal immigration officials. Carper ended up supporting a $15-an-hour minimum wage and Jennings spoke out against mass incarceration but neither took as hard-line a stance as their opponents. That likely helped both candidates when it came to raising contributions, the lifeblood of any campaign. The healthy donations Carper received from those groups allowed him to spend more than $1 million on the primary from January to mid-August, compared to the nearly $70,000 spent by Harris. Jennings, who previously served as a prosecutor under two state attorneys general, dropped nearly $380,000 in the three weeks leading up to the primary, while Johnson and the rest of the field – including Tim Mullaney and LaKresha Roberts – spent less than $26,000 combined. Until recently, the Delaware Democratic Party resisted primary challenges in favor of putting its focus on hand-picked candidates viewed as having a realistic chance of winning. That approach helped the party win most statewide offices but left it without a deep bench of campaign workers and volunteers, progressives say. Some in the progressive faction of the state party say they are now rethinking their strategy of tackling hard-to-win statewide primary contests. A better approach, they believe, is to focus future efforts on gaining ground in the Delaware General Assembly, where progressives have been steadily picking up seats. 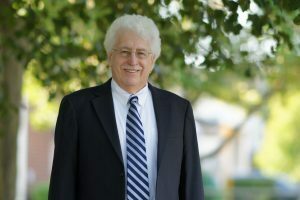 The progressive caucus in the Legislature began with state Rep. John Kowalko, D-Newark in 2006. It now has about a dozen members, including Elizabeth “Tizzy” Lockman who won a state Senate seat in Wilmington on Thursday because no Republican filed to run in the General Election. As they planned for the future, many progressives on Friday were comforting themselves with the thought that they at least were able to move establishment candidates a little more to the left – even though their full platform was not embraced by voters.